Marie Octavie Pineau, met Reginald while on his big adventure. How he met Marie is a mystery, there has been many rumours, but I'll leave them as that. I've done a little profile of the woman who gave up everything in her home country to join Reginald the other side of the ocean and also a bit about her funeral that got a big mention in the papers at the time. Marie lived in Bic, a very remote part of Quebec on the banks of the Le Fleuve Saint-Laurent (Saint Lawrence River), that is now part of the larger town called Rimouski. I managed to find Marie's baptism record in 1845, at a lovely looking church called the Cathedrale St Germain in Rimouski, the details are all in French and I haven't translated them as yet. Marie was a young lady, in her early twenties when they met. His adventure in America was coming to an end and had decided it was time to head home, cashing in his gold and wanted to take home his bride to be. Before Reginald did, he first went home to England possibly to seek his father's approval, coming back over in 1867 to tie the knot. 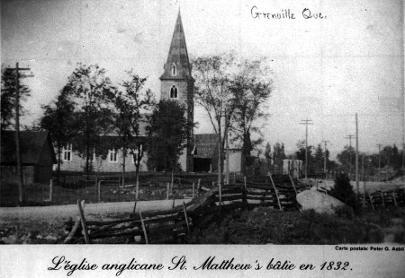 They married on the 8th August at St Matthew's Church in Quebec, the marriage was witnessed by her brother and sister. Leaving her home country behind, the newly weds headed for Leicester and set up home in Evington Lane, not far from his brother and sister. They soon settled into life in Leicester, joining the local Wesleyan Chapel in Bishops Street (below left and right). 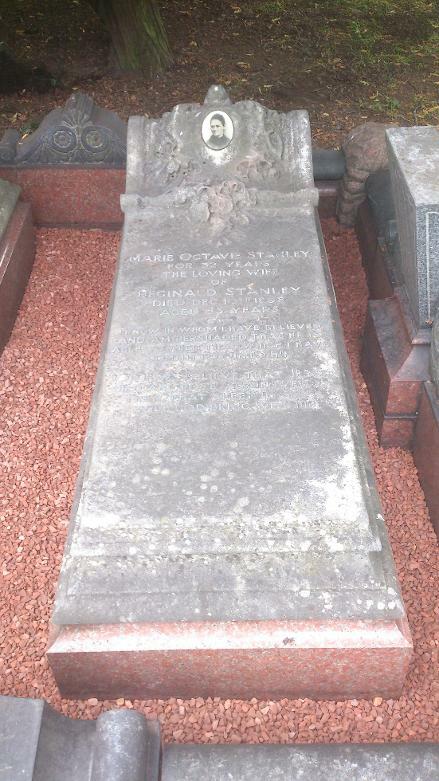 Jacob Stanley Snr, Reginald's father was the minister from 1858-60. Both the Broadbent's and the Stanley's used the chapel and from records the children were all baptised here too. Left - An early photo of the Chapel opposite the old cattle market. The couple decided to move to Nuneaton just a few years later and set up home on Church Street, Attleborough. Mrs Stanley found herself surrounded by plenty of people and things to keep her busy. She was involved in the Women's Liberal Association, the Young Women's bible class, the local mothers meeting and the Ladies sewing club. 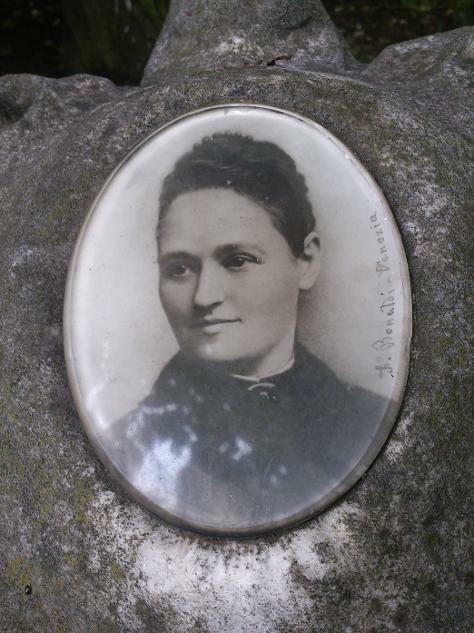 Marie was also known in the community as a kind-hearted lady always helping the poor and suffering where ever possible. As Reginald's work continued with gusto, their new home was also taking shape on Manor Court Road and in the year of 1896 they moved into this magnificent home. The joy of living in Manor Court was short lived, Mrs Stanley was stuck down with a terrible illness, which was to affect her health greatly. Over the next few years she had bouts of weakness and pain, but through it all she remained hopeful. The 10th December 1898, a day Reginald hoped would never come, although it was anticipated. She had been ill for a short while and the last few days were marked with intense pain amounting to agony at times. Her patience in suffering was remarkable and the Thursday before her death, in one of her paroxysms of pain she was heard repeating 'Jesus, Blessed Jesus'. The suffering came to an end on Saturday morning. During those early hours there was a freedom from the pain for a short time. Seeing a peaceful expression on his wife's face Reginald asked.... 'Darling, are you going to leave us now? ', in the sweetest voice she replied 'I am, I am not afraid to die, I am so happy, so so happy' . Speaking to everyone in turn she spoke words of grateful love, not missing out the servants who also received praise 'You have all been so good, so very good to me' . Marie asked if everyone would sing her a hymn. Reginald suggested their favourite hymn Rock of Ages, with a smile on her face she agreed. So all her friends and family sung, even Marie managed to join in with the second verse. From that time she drifted in and out of consciousness and as the daylight rose, Marie was finally found peace at 8am. At 1.45pm outside the Wesley Church on Abbey Street, a large crowd of people had gathered. It was a dark and dismal afternoon and it seemed as though the weather was mourning the loss too. The hearse (supplied by Mr Burrow's of the Newdigate Arms) arrived soon after, along the street businesses and homes had drawn their curtains in respect. Inside the church the coffin was covered with beautiful white flowers, there was a full choir and Mr Richard Train was seated at the organ. Rev Michael Thompson took the service and spoke from the bible, along with reading out an account of the diseased lady's life. They sung a few hymns before heading back out the church with Mr Train playing the 'Death March'. The procession from the church had five carriages containing family and friends, including the Broadbents, Maxwells and Fielding Johnsons. They arrived at the graveside about 3.30. Nuneaton Colliery and the Brick and Tile works were represented, along with the Primitive Methodist and Bond Street Congregational Churches. Rev Thompson finished off the burial service at the grave side. 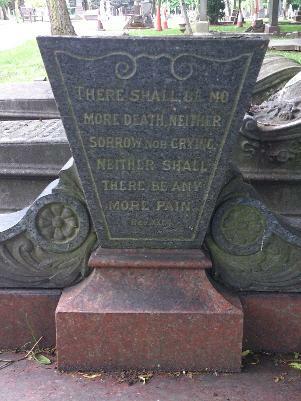 Mr West and Mr Bradford who worked for the family helped with eight others to lower the coffin into the flower bedecked grave. To end they sang 'Rock of Ages' and close to forty five floral tributes were placed close by. Reginald had laid on some tea at the Gate Hotel for everyone to meet and share stories of this much adored woman. The grave of Reginald and Marie as you can see has been given a little make over last year (2014). You can find the grave quite easily as you head out the cemetery it is next to road on the left. If you get chance go and take a look for yourself.